From building society, to bank, to BEAR – this charming site on Derby’s Iron Gate has stood empty and forgotten for 9 long years… until now. BEAR Derby sits slap-bang in the centre of the city’s iconic and beautiful Cathedral Quarter; the original hotspot for high-quality food and drink. 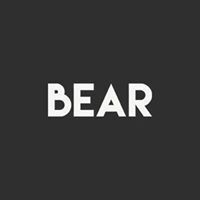 The progression to Derby seemed natural and fitting to the business, as the two founders of BEAR spent a lot of time in the city during their teenage years and consequently have a wealth of fond memories attached to the place. BEAR offers casual all-day dining from a locally-sourced menu, including an abundance of fresh seasonal treats. Our coffee and cocktails menus are every bit as good as each other, and from the two we have bred a beautiful hybrid – our signature Espresso Martini – which fits so perfectly with our crafted coffee and is (seriously) the best in town. Don’t believe us? Come and see for yourself.